There are many concerns for drivers in 2017. According to surveys, both from Overdrive and ATRI, on top of the list are the concerns for ELD and Hours of Service. It makes sense that they would be the top 2 concerns as both affect truck driver wages and the ability to earn a living wage. Drivers are paid piece work wages, or cents per mile as most know. 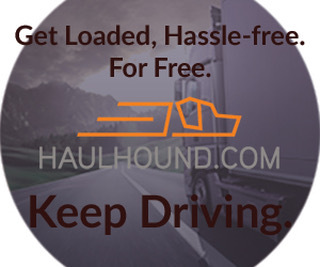 The HOS dictates how many hours you may drive and work, and the ELD enforces it. So I guess you could say that Truck Driver Wages are the top concern for professional drivers. Truck drivers believe they should be paid for ALL their time. The industry thinks differently, and they are doing everything possible to make sure they are not! A study in 1998 by Martin Labbe Assoc commissioned by the Truckload Carriers Assoc. 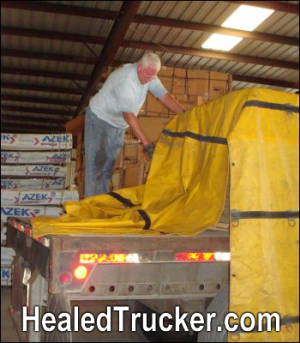 reveals truckload drivers spend about 40 Hrs. per week waiting loading and unloading. Do you believe drivers should be paid for all time? 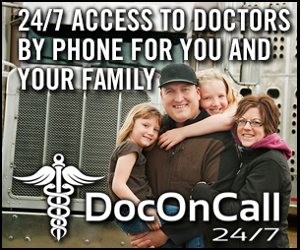 All time such as waiting at loading docks, inspections, and all non driving responsibilities? I know I do, and there are many others who would agree. We asked this question on Facebook and here are the replies, there were many. Next question is, Do you believe the Federal deregulation laws, such as the 1994 Federal Aviation Authorization Administration Act ( F4A), designed to deregulate a states ability to regulate freight, should also be used to over ride or preempt their Labor Laws? The industry has taken this argument to court. The courts, including supreme courts said NO. States have their rights to protect employees. 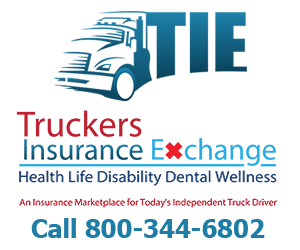 Summary and vision of what is coming SOON in 2017 affecting Driver Wages- Are you ready? 1994, congress passed the Federal Aviation Authorization Administration Act (F4A1994)in an effort to deregulate the aviation and trucking industries. F4A had all to do with Freight rates and NOTHING to do with Labor rates. Although drivers were allowed rest breaks, they are not forced to take them. 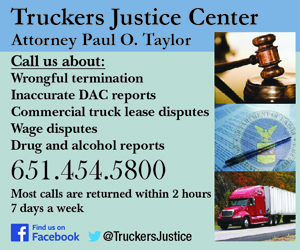 Intrastate Truckers- Meal & Rest Break Allowances- Drivers not forced to take them but are paid. 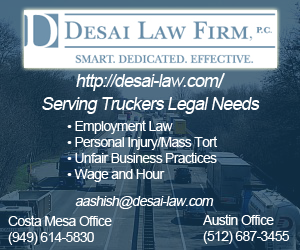 Since motor carriers lost these cases in Federal Courts, the industry ( ATA) wants the FEDERAL GOVERNMENT to STEP in and create LAWS ( to over ride the Supreme Court decisions), referring to F4A1994 ( scroll down to the bottom) saying that Labor laws should be preempted by Federal laws. SEC. 601. PREEMPTION OF INTRASTATE TRANSPORTATION OF PROPERTY. Again, the intent of the 1994 Federal Aviation bill was designed to prevent the states regulation of FREIGHT, not to regulate state labor Laws. 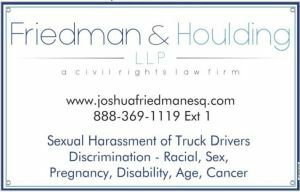 The Circuit Courts and the Supreme Court has stated this regarding lawsuits between motor carriers and drivers, MANY TIMES. The Carriers Lost. Now the trucking industry wants to bypass the courts and go directly to Congress. If you can’t win in the Supreme Court then take it to Congress and change the Law! Chris Spear,The President and CEO of the ATA has said “…. preempting states that have added redundant rest break requirements on top of the existing federal standard, ATA will continue to push hard for federal preemption of specific state laws when the 115th Congress convenes next month.” In other words, they will target the new 2017 Trump Administration. 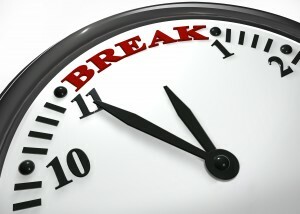 It’s not just paid rest breaks that concerns them, it’s all non driving responsibilities such as all waiting time. ATA does not want to pay it. NOTE: 70% of Truck Drivers voted for Donald Trump in hopes he would stand for truck drivers. In other words, the ATA isn’t the only one’s who will address their fight to the 115th Congress. Coming soon in the form of an anti trucker amendment or provision in an existing bill. It was thought to be in the amended THUD ( passed the house but needs to be voted on in the Senate), but now we know it will be in the 2017 FAA Reauthorization bill. 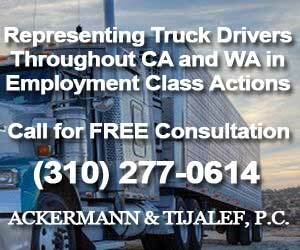 If passed, it would affect truck driver wages in 2017 permanently, just as the Fair Labor Standards Act (FLSA) has. 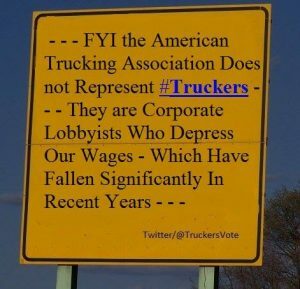 The Fair Labor Standards Act ( FLSA) which has exempted truckers for decades from being paid overtime. If FAA is passed with Anti Trucker Amendments, then not only is it No Overtime, but it would be being paid piece work wages only. The FLSA provides an overtime exemption for employees who are within the authority of the Secretary of Transportation to establish qualifications and maximum hours of service according to Section 204 of the Motor Carrier Act of 1935. 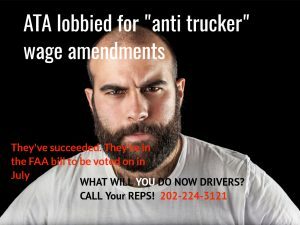 Is the ATA the voice for truck drivers? If the bill is passed with Section 611 intact, motor carriers could only have to pay drivers on a piecework or per-mile basis. Gone could be any chance at pay for detention time, safety inspections, paperwork, or any other work-related tasks that do not involve racking up miles. 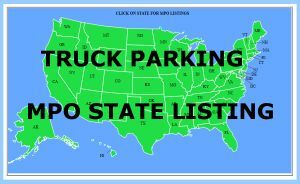 It could also gut the ability of states to individually address these sorts of issues in the future, according to OOIDA. Use GovTrack to find out who represents you in Congress and what bills they have sponsored. After losing case after case in Federal Courts, the focus of those opposed to driver fair wages, was and remains, that by applying the exemption in the 1935 Motor Carrier Act, and then altering by persuasion the original meaning and intent of Congress in the 1994 federal Aviation Authorization Administration Act ( Title VI section 601) to deregulate the aviation and trucking industries, the ATA and others in the trucking industry, pushed for Congresses provisions to bills in hopes they’d be passed and state labor laws (protecting trucker wages) would be preempted by Federal Law. They have FAILED to do so in 2015 and 2016. First attempt failed in the FAST ACT Transportation bill in 2015, (at that time the Denham Amendment was attempted to be slipped in at the 11th hour), and then attempted again, as wording was attempted to be included in the Federal Aviation re-authorization bill in 2016 . Again it Failed and the wording was not included in the final bill. BUT They are trying it AGAIN in early 2017….and they are determined! The THUD bill (Transportation Housing and Urban Development Section 134)), if passed, would end all hopes for drivers to be paid for all time. It would then be almost impossible to create any new labor laws to pay drivers for all time. Instead of THUD, the anti trucker amendments made it in the FAA Reuathorization bills for the Senate and House Subcommittees. NOTE: Legislation is pending in the House of Representative, entitled H.R. 5394 –Transportation, Housing and Urban Development, and Related Agencies Appropriations Act, 2017 (“THUD”). On May 17, 2016, the House Appropriations Subcommittee on Transportation, Housing, and Urban Development, and Related Agencies approved the 2017 Transportation, Housing and Urban Development funding bill. This bill included an amendment of the FAAAA that would preempt state rest- and meal-break laws, retroactive to 1994. BE AWARE. We will keep you posted. 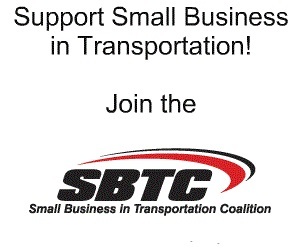 We must make our representatives aware as well as the members of the Committee on Commerce, Science, and Transportation and the House Highways and Transit. In 2017 if the ATA succeeds, initiating Congress to pass new law preempting ALL STATE LABOR laws for TRUCK DRIVERS , then that same provision or law would then be applied to all 50 states and eliminate any chance for being paid non driving responsibilities, such as detention time. It’s an attempt to ensure that truck drivers will NEVER be able to be paid anything except their piece work wages, as we all know it, cents per mile. Truck drivers in all 50 states would be affected by this dangerous provision or any new bill which would include the wording, because their states would be barred from passing laws that protect drivers from being docked, not only for bathroom and meal breaks, but for ‘non-driving’ responsibilities, such as loading the truck. Remember The ATA has stated that one of their 2 major goals would be in 2017 to overturn the states labor laws which protect drivers who pick up and deliver in states which have labor laws to protect their employees. So I ask you again, Is the ATA the voice for truck drivers? Most of us believe that the Federal Government should not be able to overpower the states. Most of us do not believe in more regulations, especially when it come to trucking and regulations which affect drivers ability to earn a living wage. So why would we want the Federal Government to over ride STATES RIGHTS? 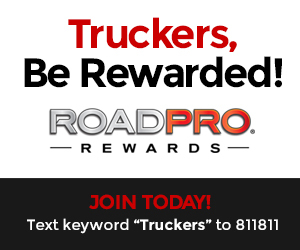 At a time when HOS and ELD’s are affecting driver wages, SAY NO to any anti-trucker amendments or provisions which would prevent any hope for drivers to be paid for ALL time. 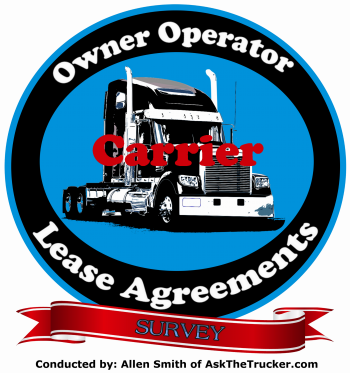 We’ll be making a series of videos and post updating you on the progress of the ATA and their attempts to influence government regarding labor laws and truck driver wages. 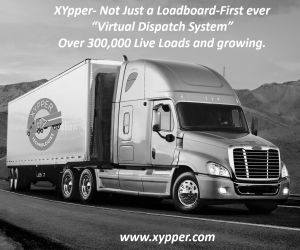 I invite EVERYONE to a show on AskTheTrucker Live I’ll be hosting. We will be discussing the seriousness of this issue Federal Laws Preempting State Labor Law- How they affect truckers now and in the future. AS A 41 YEAR LONG HAUL TRUCKER, I CAN TELL YOU TRUCKERS HAVE BEEN GETTING SCREWED FOR THE PAST 25 YEARS IN EVERY WAY POSSIBLE. HRS SHOULD BE PAID FOR ALL LOAD, UNLOAD, DETENTION ETC. COPS TARGET TRUCKERS MORE THAN ANY OTHER DRIVER ON THE ROAD. 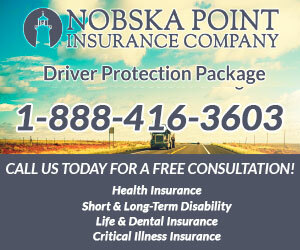 PEOPLE INTENTIONALLY CAUSE ACCIDENTS TO GET BIG BUCKS FROM INSURANCE CLAIMS. TRUCKERS AND SCHOOL TEACHERS ARE THE TWO MOST IMPORTANT PEOPLE IN AMERICA. IF NOT FOR TRUCKERS, YOU WOULDN’T HAVE A DAMM THING. CLOTHES, FOOD, HOMES, CARS AND ANYTHING ELSE YOU HAVE. WITHOUT TEACHERS YOU WOULD ALL BE STUPID AND ILLITERATE. THE TWO MOST IMPORTANT PEOPLE ARE THE MOST PERSECUTED AND THE LOWEST WAGES.SO THANK A TRUCK DRIVER FOR EVERYTHING YOU HAVE AND THANK YOUR TEACHERS FOR WHATEVER INTELLIGENCE YOU POSSESS. DEMORAT/LIBTURDS NOT INCLUDED IN THE INTELLIGENCE SECTION. I feel sorry for all the new drivers thinking they could make a living off barely minimum wages while working for nearly 100 hours per week. I am befuddled why drivers, who are the backbone of delivering America’s economy, continue to be abused by politicians and truck carriers. 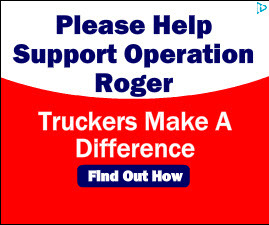 Is there some logical/rational reason why drivers can’t be paid for everything while OTR for weeks at a time so they can feed their families, get proper healthcare, etc? I mean what is the problem with treating drivers with the respect and dignity all humans should expect from each other?